Happy 2015! May this new year sparkles a renewed spirit in all your personal and professional endeavors. Since classes here at the U don’t start until the 20th of January, I am having the time of my life just reading and writing this winter break (spending most of my time at a Starbucks that’s located a few blocks from my apartment). Of course, as a teacher, I’m never really on full vacation — so I am still thinking about teaching from time to time. 1. Anne Curzan: What Makes a Word “Real”? I think this is a great discussion starter, especially for teachers who want to start out with something that’s closer to home (for students, at least!) — taking a look at the invention of words, including slangs like “defriend,” “hangry,” and “adorkable.” By evaluating the process of dictionary editing, language historian Anne Curzan charmingly finds crucial meaning gaps in the English language in a world of constant evolvement. Biologist Mark Pagel shares his theory of the social engineering functions of language. He suggests that language is a social technology/learning that allow humans to cooperate. This may sound a little removed from the humanities, but I always like spicing up the class with some social sciences, what more a biological take on language! 3. Alan Siegel: Let’s Simplify Legal Jargon! In our complex world, simplicity is bliss. Alan Siegel calls for a simple, sensible design — and Plain English — to make legal documents intelligible to laypeople. This may be a gem for technical and professional writing/communication classes. Here’s one for digital storytellers and media scholars! Andrew Fitzgerald, who works for Twitter, goes back in time to look at the (short) history of creative experimentation of fiction and storytelling through new-age broadcast tools like the radio, television, and now, social media. This one is my all-time favorite. I show this to my students every semester. (Warning: it contains explicit language.) Filmmaker Andrew Stanton shares what he’s learnt about storytelling (through visual communication), giving his audience an engaging presentation that starts at the end working back to the beginning. 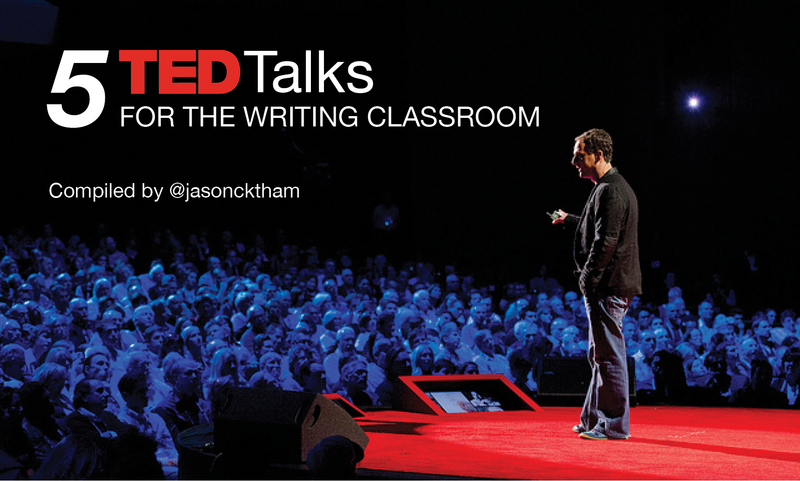 There you have it — five TED Talks you may use to jumpstart a class this coming semester. Have other videos that you might suggest to add to the list? Comment below to let me know!